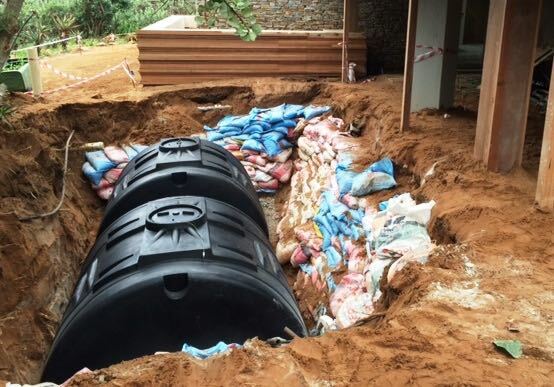 The system consists of two interconnected 6000l underground tanks which recover water off a 250sqm roof. Runoffs from the roof is combined into an underground header system before entering a Wisy vortex filter where all particles bigger that 28 micron is discarded before the clean water enters the tank. A slow inflow prevents water disturbance. The tanks are also used a a backup water supply. 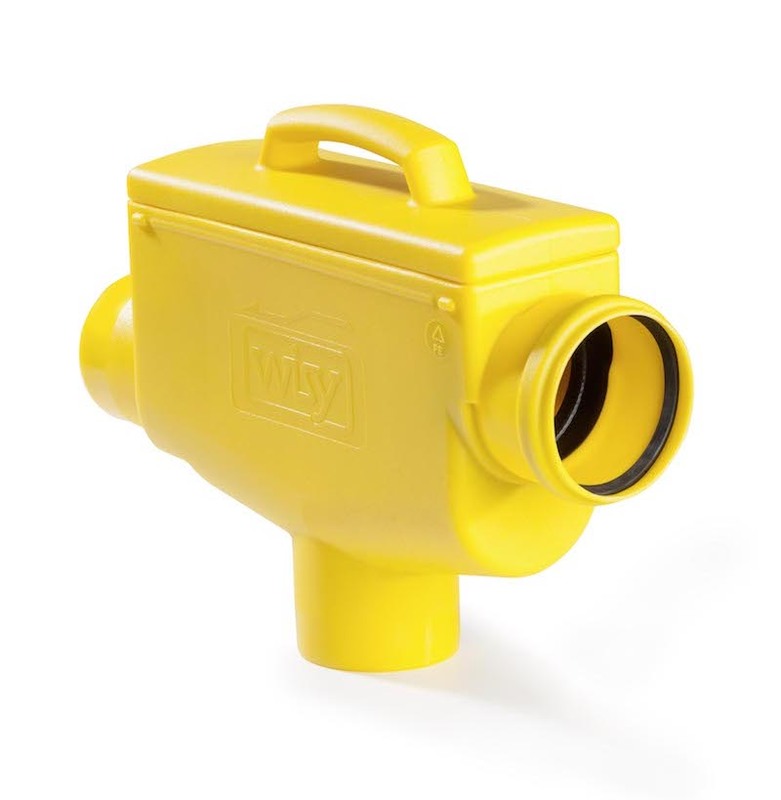 A solenoid valve with a float switch top up the water in the tanks if the level is low thus ensuring the tanks and the household always has water. 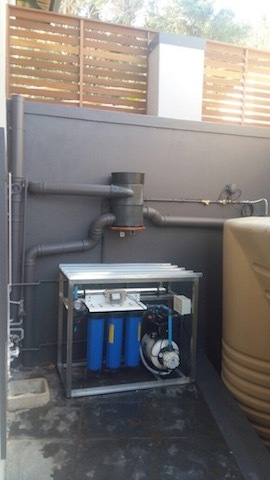 With the severe water restrictions in the Ballito area and continuous water interruptions this is an ideal system for a household that requires some form of independence from municipal water. 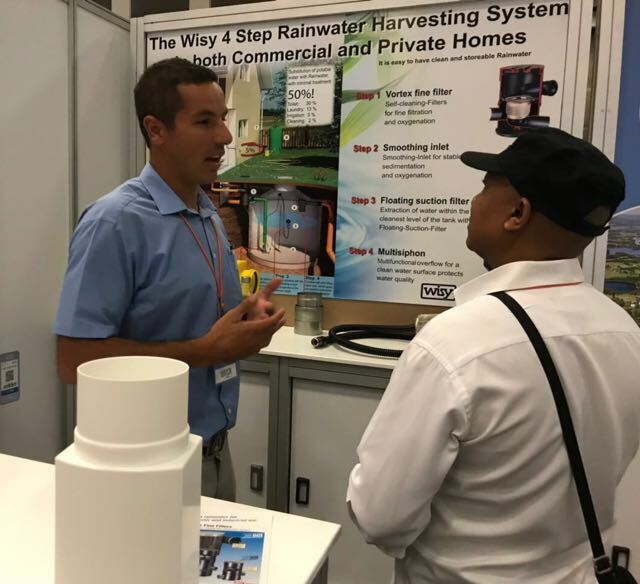 The rainwater is purified via a three stage filtration system and UV light disinfection before supplying the houses' water network. 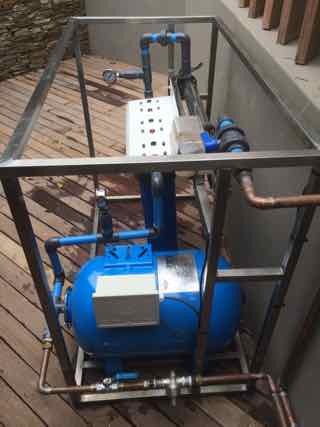 A backflow prevention system prevent any rainwater from contaminating the municipal supply with the purified rainwater.